After weeks planning your trip to Paris, you have finally arrived. Buy these three things before you leave the airport to save you time and money. Your first stop when you arrive in Paris should be the Tourism Desk in the airport. This was our first stop when we landed at Charles de Gaulle last September for out ten days in Paris. I had researched and planned and I wanted to start the trip of right. So off to the Paris Tourist Information desk we went. You will want to purchase a Paris Museum Pass. This pass will give you unlimited access to roughly 60 museums and monuments. You can purchase this pass for 2, 4 or 6 days. We chose the 6 day pass. While we were there 10 days, we made sure to visit the places included on the pass that were the most expensive to visit without the pass. So on day seven we would have chosen to visit something free or the less expensive option of purchasing a single ticket. The Paris Museum Pass was a great value for us. However, we did find a few museums with no English signage. It was not a problem, as we were able to understand enough. It was well worth the price for all we were able to do. 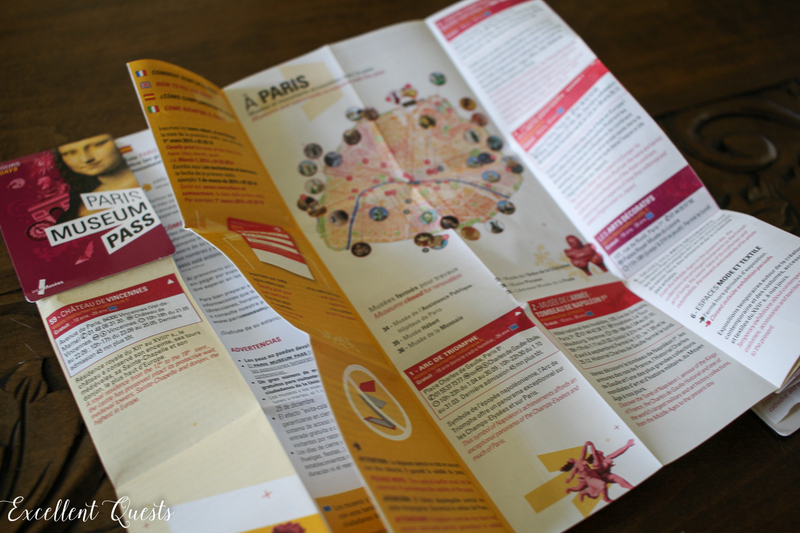 With the pass comes a fold out guide for all the participating museums and monuments. It listed all the closing dates for each place. There are major attractions that are closed on Mondays, so plan accordingly. Some places on our list were open late one day a week and others had free days or evenings. 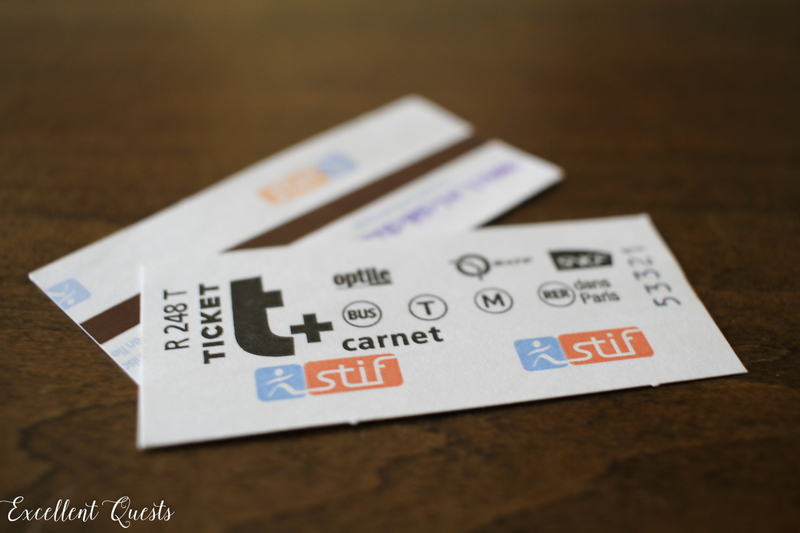 Your next purchase should be a carnet of metro tickets. These are referred to as t+ ticket booklets and include ten tickets. You can use these tickets on the metro, bus and RER trains. We used 3 sets of these booklets during our ten days. The savings of per ticket rides was about 27% according to the website. But there was so much ease in having these ready to use. Tip: Do not buy tickets from anyone other than a ticket agent or the ticket machine. We watched a poor unknowing soul purchase used tickets from a guy outside the station. She tried to use them and had to purchase new tickets. Now why would you use the public transportation in Paris? It is easy, clean and safe. I do not utilize public transportation where I live as it is not feasible for our lifestyle. Driving in Paris was not something I would want to attempt. Actually driving would not bother me in the least, but finding parking seemed to be quite the struggle for some drivers. Use the Paris Metro. It was super easy to learn and safe. I might avoid it during rush hour, as we were packed tighter than sardines some evenings! But the Parisians always made room for one more on the train. Now, I will say this…beware which metro station you use. Some are deep down and require many many stairs. Sure there are elevators. But there is a story about a deep metro station I will share another day. That day we call the day of 1000 stairs. Tip: If you see a danger sign and a picture of stairs, find an elevator. Seriously, find the elevator. The t+ tickets are good for the bus as well. And that is where we started our adventures, above ground and seeing the city. It was a beautiful ride on the bus. There was so much to see. I loved the architecture, the neighborhoods and the city itself. Simply beautiful. The last thing to be sure to purchase at the tourist counter is a Batobus ticket. We purchased the two day ticket. 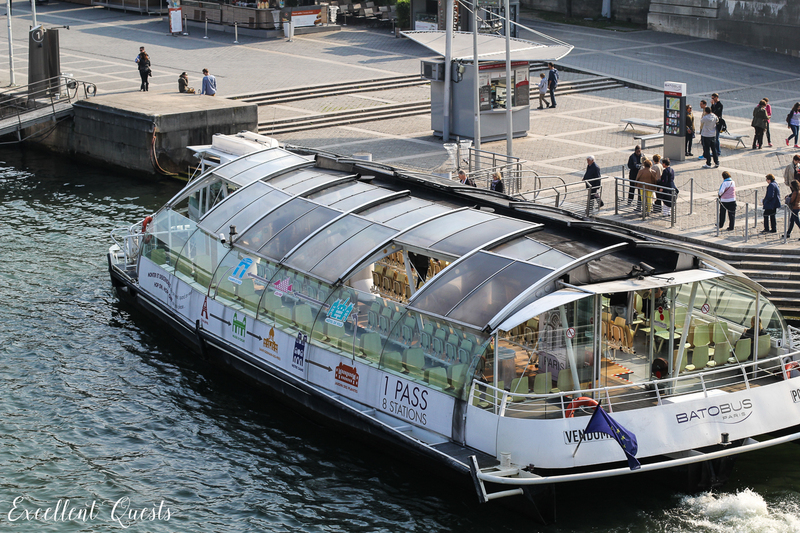 The Batobus is simply a better way to see Paris – from the river. This is a hop on hop off ticket to ride the Batobus, a river boat. This is a wonderful experience of seeing Paris and recommend you start your sightseeing here. When you board the Batobus go straight to the back and out the back door. You can stand out on the end of the boat and photograph the sights without obstacles. We started at the Batobus stop near Notre-Dame. We enjoyed the entire route, perhaps a bit more than an hour before returning to our starting point. This was by far a highlight of our first day in Paris. You can purchase many other items at the tourism desk at the airport. Check your itinerary and see what other items may be easier to purchase at one time rather than standing in several lines: one at each place you will visit. Oh, I almost forgot to mention this helpful tip. The Paris Museum Pass allows you to skip several lines. Show your pass to the first guard/employee when you arrive at a monument or museum. Often times we were put in the shortest line or granted immediate access over others purchasing a day ticket. Now that you have purchased your ticket, hit the ATM for your Euros and follow the signs to the taxi stand. Get ready for an amazing adventure! Have you traveled to Paris? What other items would you suggest visitors purchase at the airport tourism desk?